Journalists are paid to make stories. We write new ones every day. But sometimes people don't want the stuff that we serve up daily - they just want to skip to the punch-line at the end. You instinctively 'know' what this is when you pause to think about it for a second or two. You 'know' how things will work out in the long run. I harnessed that knowledge to write about this year in politics. We'll hear a lot, this year, about Tony Abbott, but you know how it will end up. As I wrote in today's Canberra Times . . .
Hello. Welcome to the new (political) year. Fortunately, readers of this column are intelligent. You’re interested in what’s going on and follow the detail; the in’s and out’s of the stories. Regrettably, however, that’s not the case with many Australians. They don’t care about detail; they just want to know the answer. They may as well skip to the last paragraph of this column now, because for they like to reduce the exciting and interesting events of the entire political year down to just one, very simple big question. It’s all they have time for. You don’t need me to catalogue the extent of the government’s despair. Suffice it to say that we’ve long passed the time for detail. Pull back for the big picture. The key point is the question had changed and so did the government. The next year, Rudd was allowed to set his own question. It was; ‘will Australia escape recession?’ The answer was ‘yes’ and everyone was very happy. Then Rudd stuffed it. He thought he could write his own question again, but it turned out the voters had one of their own based on something he’d already promised to do. This was sorting out climate change, but answer came there none. Space emerged in the political coverage. Journalists had nothing to write about. So they began making up their own questions. That isn’t good for governments – not good at all. Then Julia Gillard jumped the gun and began shouting, “I’m the answer!” But she was offering herself as a solution before we’d realised the problem. Then it turned out she hadn’t done her homework after all and couldn’t solve the problems of asylum seekers or climate change. Everyone was confused just at the time there should have been a clear choice. So the electorate couldn’t answer the question and we had a hung parliament. Labor, unfortunately, remained unable to come up with either good questions or plausible answers. Finally, in 2013, voters were asked if they wanted a change. They were sick of Labor and shouted, “yes please, anyone!” That’s why Abbott became PM and now the’re having second thoughts. He got his chance to set his own exam paper last year, but the ex-Rhodes scholar failed. No budget (still! ), no unity, no vision. He had a chance to reset at the end of last year, but failed again. He refused to change his Chief-of-Staff, insisting instead he’d go down with Peta Credlin (he will) and then, seemingly determined to bring on his own demise, demonstrated complete dissociation by conferring a silly accolade on “Sir Phil”. Really. There’s no guarantee, of course, it will be Turnbull because that would be the sensible solution. He is, however, the obvious candidate. 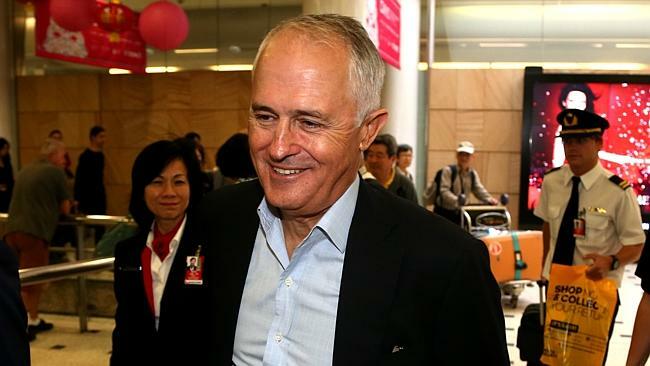 He’s given utter loyalty to Abbott; Labor’s vote will collapse overnight; he’ll prove a good PM, interested in ideas; and the Liberal ‘right’ can content themselves that it’s better to actually be in government than impotent in opposition. But if he won’t challenge who are his rivals? Julie Bishop’s work overseas has been laced with (always minor, of course) ladders and even (more seriously) the occasional tear in the fabric. Fine in foreign affairs but even she knows – in her heart of hearts – the leaders job is beyond her. Besides, it’s her weakness as deputy that allowed the baying crowd to surround Abbott. Scott Morrison may be competent, but he won’t bring one new vote to the party. His candidacy would be a recipe for division, uniting the true believers but foregoing the opportunity to make a new start. Joe Hockey? He’s lost his chance. And the only point of an old cavalry officer like Mal Brough is to begin the charge that can unlock the pieces on the political chessboard. 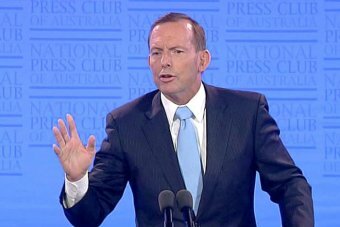 There’s so much more to say; so many columns to write, because everything will depend on just how Abbott goes. Like who will become Deputy PM? The Nationals are well advised to make this a double coup. They might not like the idea of Barnaby Joyce at the helm, but it can’t be worse than the current incumbent, Warren what’s his name. Funny that you, I and Malcolm Turnbull went to school together.. though I think he'd left by the time you joined. I'm not so sure Abbott will go before 2016. As you say, there's no-one who is obviously better, and acceptable to the far far right that have purged the moderates. Abbott in many ways is a symptom, not a cause. The policies in the non-budget were so on the nose that I think no-one could have sold them. If a new fuhrer is anointed, but with the same cloth-eared adherence to putting in the boot to the "parasites", the aged, the infirm, etc then you'll get the same results. I don't see them changing. Abbott truly has support within the party, the backbenchers are just panicking because the party's groupthink - as exemplified by Abbott - isn't shared by the electorate. He's unpopular, not wrong, in their eyes. If you look at the performance of Abetz, Pyne, Morrison, Hockey... they're all the same. Turnbull has been loyal to a fault - and in the process has lost much of his previous support in the electorate. I doubt he could force a change - the moderates who supported him were ousted. He's back... The Abbott has survived again to keep going ! So Nicholas were you at School with Malcolm T ? By the way, Hockeynomics has basically ended Joe Hockey's chance of being PM... 'poor people don't drive cars".